The best way to decide what you want to do with a fireplace is to let yourself be inspired. The Internet has millions of photos of completed projects to give you ideas. Check out websites like Pinterest or HGTV for the latest home designs and trends. While you look for inspiration, it’s important to keep in mind the layout, style and colors of the space surrounding the fireplace. After you have an idea of what you want, figure out the budget you will be working with. Obviously, the budget will determine the stone options that your client will be able to afford. Some popular stones that we love for fireplaces include marble, limestone, granite, travertine, onyx and more. Remember that some stone comes from farther away, so if you want the fireplace completed quickly, you will have to choose a stone that is readily available. Your climate is another thing to consider for various reasons. We can help you choose the perfect stone and design here at Firenze International. Bring in your inspiration photos and we will recommend what elements to include. You can choose to incorporate columns, rows, mantels or whatever you prefer. The possibilities are endless! There are many benefits to having a fireplace, but we have included some here for you to relay to your clients. When the electricity goes out, a fireplace will keep you warm in the cold. You can cook food over the fire including s’mores with the family. Using your fireplace for heat in the wintertime will cut electricity bills, ultimately saving you money. The carbon footprint of a fireplace is nonexistent. This means they are incredibly eco-friendly. Gathering around a fire is relaxing and romantic! 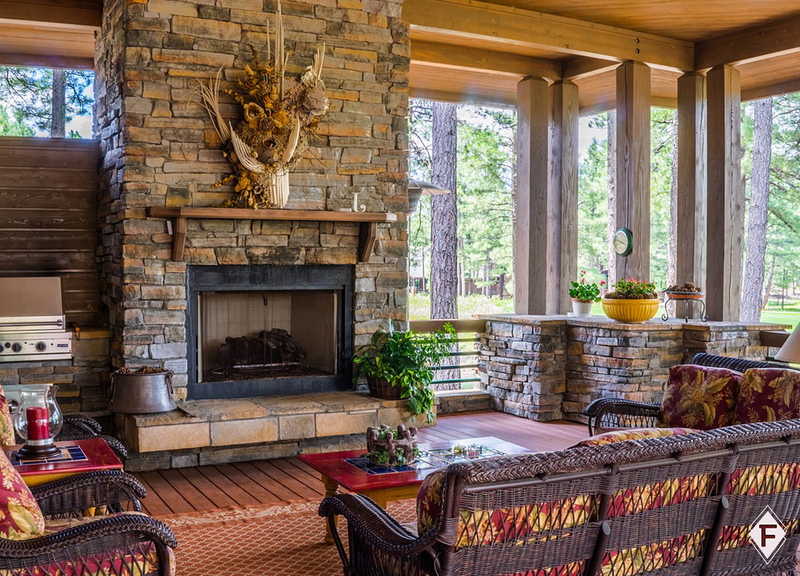 If you’re interested in creating a custom stone fireplace, let us know! We would love to help you through the process.